I am a Michigan fan. I have been since as early as I can remember. I have lived no more than 20 minutes away from the Big House for nearly my entire life. Growing up we believed Bo knew everything. Anthony Carter and Desmond Howard were who every little boy wanted to grow up to be. We loved Lloyd Carr and Charles Woodson, who was not only the only defensive player to ever win the Heisman we thought he was the greatest defensive player to ever play in the Big House. So if you’re not a fan of my Maize and Blue you maybe tempted to stop reading, but don’t. This isn’t a story about Michigan. This is a story about a Michigan Man. In my eyes, the greatest Michigan Man ever. It’s a story of how you too can be like a Heisman trophy winner. It’s how you can be someone’s greatest defensive player ever. It’s how you can….be a Woodson. My daughter Faith has a disease for which there is no cure. As ominous as that sounds, we have great hope for our Faith and her future. You see, we have one of the greatest teammates of all time on her team defending her life and helping her fight her battle, NFL safety Charles Woodson. If you’ve ever watched Mr. Woodson on the field, you know he’s exactly the type of teammate you want. He gives his all on every single play. He never gives up. That is the type of person you want on your team when you are going to battle, and what greater battle could you have than fighting to find the cure for a disease for a child. 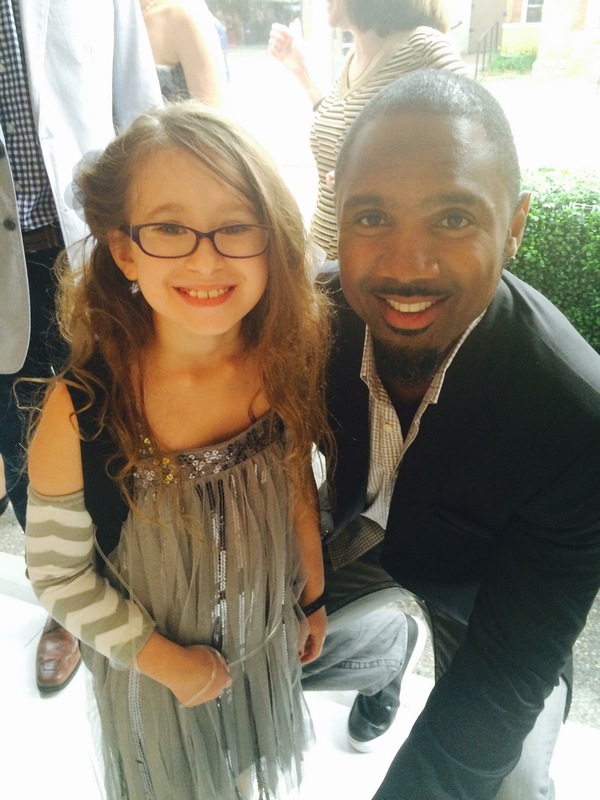 Faith was 5 when we first met Charles, she was chosen to be a featured child in the yearly charity event that is held to fund the Charles Woodson Clinical Research Fund. Faith was admitted into the hospital at the time and Charles came to visit her in her room. He sat and talked to her and they had an instant bond. Earlier in the day she wasn’t sure she would be able to use her pass to leave the hospital and attend the event, but the minute Charles left the room she wanted to start getting ready. They spent the weekend becoming friends and Faith did a great job being the face of a child who benefits from the Woodson Foundation. As the weekend came to a close, Faith worried that she would miss her new friend, unsure that she would have the opportunity to see him again. Those fears have never been realized. Mr. Woodson gave me his contact information and asked that I please keep him up to date on Faith’s health. Well, you know, when a famous athlete gives you his information, you think, I can’t use this…I can’t interrupt his life. So then a mutual friend calls me and she asks for permission to give Charles our phone number because we aren’t contacting him. A month later when I finally called him back, he was irritated with me. That’s when it happened, when I realized who I was really dealing with. Charles Woodson was worried about Faith. He was worried that I wasn’t updating him and he missed his little friend. Charles Woodson. This legendary football player, was for real. He isn’t just the face of a charity, he believes in the mission and wants to inspire others to do the same. He wants to help, and he wants to give hope to hopeless feeling situations. I can’t explain the friendship they have, but I can tell you that Faith gets teary-eyed watching him play football. I can tell you that when he comes into town he makes a point to see Faith and spend some time with her. He Facetimes with her when he can’t come to town. He stays up to date on her health and pays special attention when she is admitted into the hospital. He wants to know what is going on, he cares and wants to help. I can tell you when it’s time to say good-bye and see you next time there are many hugs and they say, I love you. And I can tell you they mean it. We love Charles Woodson. We love what he stands for. We love that he won’t give up the fight. We love that he wants to help however he can. And we love that he knows we are not judged by what we do for a living but by who we are and how we serve others. We love who he is. Mr. Woodson is making this world a better place by deciding to make a difference in the lives of others…of children, of my Faith. For that, we will always love him. Can you imagine, if there were more Charles Woodson’s in the world? Charles can only do so much but can you imagine if there were a thousand Woodson’s? Or even ten-thousand Woodson’s? The possibilities…. Faith tells me when she grows up she wants to be like Charles. She then giggles and says, well except for the football part. She wants to serve others. She wants to make this world a better place, a healthier place. She wants to be a Woodson, don’t you? Such an inspiration! This fella, this precious, little girl, AND this momma… I haven’t heard anything for quite some time but wanted you to know I was thinking of you all this evening! I just watched the Charles Woodson ‘A Football Life’, and they showed a little bit of his relationship with Faith. Woodson had always been one of my favorite players to watch, all the way back since he was at Michigan, now he’s one of my favorite people. There are many athletes and celebrities that donate money but don’t donate their time. 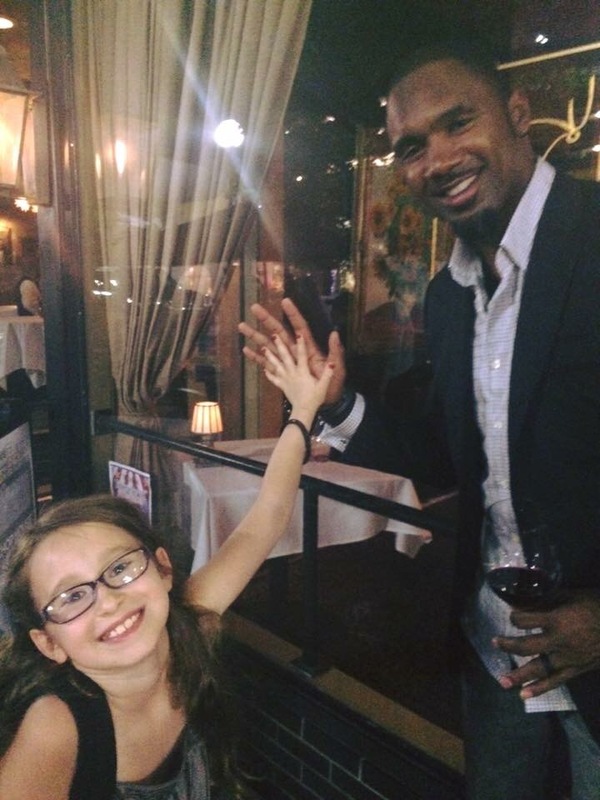 That’s ok, but it is extremely special when somebody like Charles Woodson goes out of their way to just hangout with and inspire people, especially children. I salute you Mr. Woodson. To the author of this, thank you for sharing this. I hope that you, your family, and especially Faith are doing well and y’all will now be in my prayers.